Due to the expanding responsibilities of Liberty Township’s human resources specialist, trustees approved a resolution to expand the position’s job description during a special meeting Thursday. Trustees canceled the regularly scheduled Monday meeting, which led to Thursday’s special meeting. Huffman said the their will be a decrease in pay, but it works out to be about the same because the position now receives insurance benefits. Previously, the part-time position only allowed for 1,500 hours to be worked annually. According to the resolution read by Trustee Melanie Leneghan, the schedule of hours now includes Monday through Friday, as determined by the administrator and the Fiscal Officer Nancy Denutte, and includes working in the mornings, evenings, Saturdays, and Sundays as needed. The salaried position will be compensated $36,000 annual, with the employee now being responsible for the employee portion of the OPERS (Ohio Public Employees Retirement System) Fund. According to the OPERS website, the fund was established to provide a secure retirement for Ohio public employees and their families. Since the meeting was held on Thursday, trustees did not hear from all the department heads due to conflicts in schedules. However, the department heads did submit their reports to the trustees in advance of the meeting. Fire Chief Tom O’Brien was present at the meeting to present a three-year mutual aid agreement with the City of Columbus. According to the agreement, it will aid in giving township residents the best possible service and response times for emergency medical services and rescue. 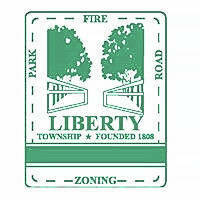 The agreement allows for assistance from the Columbus Division of Fire for the southern border of the township when needed, and in turn, Liberty Township will assist Columbus. The boundaries for the mutual aid are north of state Route 161 between Dublin and Worthington in Franklin County. He added it is the same agreement Orange Township has with the Columbus Division of Fire, and the fire department has only gone to Columbus four or five times in the last year. Trustees approved the mutual aid agreement between the City of Columbus and Liberty Township to be effective May 10, 2018, to May 9, 2021. Also during the meeting, trustees were presented with a renewal contract for the Employee Assistance Program (EAP) for the safety and well-being of township employees and their families. According to the resolution, the township has been in the program since May 1, 2017. Eichhorn could not attend the meeting due to a conflict in schedules. Buehrer said the cost of the program is $1,170 annually. Trustees approved the renewal of the contract with EAP. • The payment of $2,650 to Syn-Tech Systems, Inc. for a warranty on the FuelMaster system housed at the Liberty Township Fire Department. • Appointing Jerry Beigel as an alternate member of the township Zoning Commission for an unexpired term ending on Sept. 14, 2018. This entry was tagged Cathy Buehrer, D. Anthony Botkin, delaware county, Human Resource Specialist, Liberty Township, Matt Huffman, Melanie Leneghan, Tom O’Brien. Bookmark the permalink.